Lake Iseo holidays on line Italian lakes travel hotels residence bed breakfast villas self-catering accommodation. Lake Iseo is basically a summer holiday resort located between the province of Bergamo and Brescia, and it is also called Lake Sebino. It is a very much actrative destination ideal for fishing, bathing and sailing. 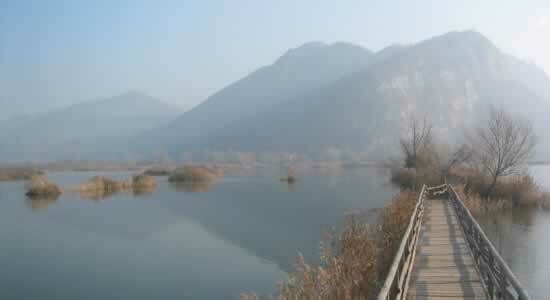 Lake waters are broght from the river Oglio and 4 more streams, its about 25 km long and max. width is 4,5 km. In the centre of the lake it is set Montisola, the largest lakeside island in Europe and all around the banks rise many actractive localities as Iseo, Polaveno, Clusane sul Lago, Sale Maresino and Sulzano. Tourism is the main source and all the lakeside area offers a wide range of accommodation facilities and the possibility of practising various sport activities. Coming from Brescia you get to the Franciacorta (Franza Curta) area facing onto Lake Iseo boasting its renommed vineyards and famous Restaurants. Iseo is the most relevant tourist center in the lake and in the piazza del Sagrato is set the church of Sant'Andrea with many valuable art works as the San Michele painted by Hayez. More ahead is Sulzano, a fishermen village and boats point of departure to Monte Isola, and little further there is Sale Maresino with the Pieve di San Zenone. On the of Bergamo bank side there are numerous villages as Lovere, Riva di Solto, Tavernola and Sarnico. An interesting area of the lake is the Torbiere Natural Reserve for fish and birdwatching and also the characteristic rocks of th Pyramids di Zone. The Ambra Hotel is a three-star hotel in Iseo, close to Lake Iseo. The rooms of the hotel, with a view on the lake, have all modern facilities, from air conditioning to satellite TV. At the guests' disposal there is a lounge bar and a free parking place. The property is located just a few minutes from the railway station. Hiking near the lake is highly recommended. The Rotelli Hotel is a three-star hotel in Sale Marasino, close to Lake Iseo, at half an hour's drive from the motorway. All rooms have safe and cable television. The Rotelli Hotel provides a coffeee-bar, free wi-fi connection in common areas and car parking. The excellent restaurant of the hotel serves dishes based on fish. In summer the hotel staff recommend the access to the pool and to the tennis court. Hotels with parking in Lake Iseo ? If you have decided to travel to Lake Iseo by car or motorbike, don't worry about finding a parking space or leaving your vehicle unattended. Display the list of hotels and accomodation in Lake Iseo provided with a parking place or a garage. Book a hotel in Lake Iseo with a parking area! Pet-friendly hotels in Lake Iseo ? Don't leave your dog at home. Use our guide to check the list of hotels and accomodation that welcome dogs in Lake Iseo. It is also possible, from our selected list of hotels and accomodation where animals are allowed in Lake Iseo, to keep your dog in the room with you! Check our offers of hotels and accomodation in Lake Iseo with rooms equipped for the disabled! For your stay in Lake Iseo, book a hotel accessible to disabled people. Choose your hotel in Lake Iseo from the list of hotels equipped to welcome disabled people! Wi-Fi hotels in Lake Iseo ? Are you looking for a hotel or accomodation with a quick internet access and wi.fi? Click on the list of hotels in Lake Iseo which have a wireless connection to internet and wi.fi. Gay-friendly hotels in Lake Iseo ? Look for gay friendly hotels or gay friendly accomodation in Lake Iseo, choose to sleep in a gay friendly hotel or gay friendly accomodation in Lake Iseo! Take advantage of our offers of gay friendly hotels or gay friendly accomodation to book your holidays in Lake Iseo.